To finish off the last of the new MPK II series of USB MIDI controllers by Akai Professional, the 61-key MPK261 is pretty beastly. 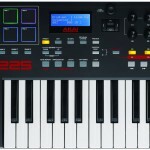 The new MPK261 is the successor of the Akai MPK61, a pretty popular MIDI keyboard across the music equipment realm. 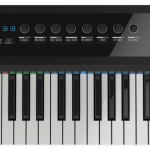 If you’re looking into a 61-key USB MIDI keyboard but need the drum pads as well (whether it’s for recording or live performances), the MPK models are recommended by us and a lot of other music stores around the net. 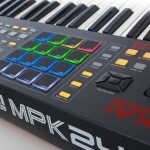 The new MPK II series offers some tweaks and upgrades (nothing too major) to their popular MIDI keyboards. Here’s what they’ve added to the MPK261. 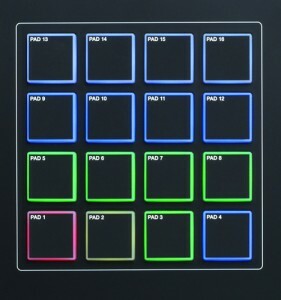 One of the highlighted features of the 61-key USB controller by Akai is the backlit red green blue pads. 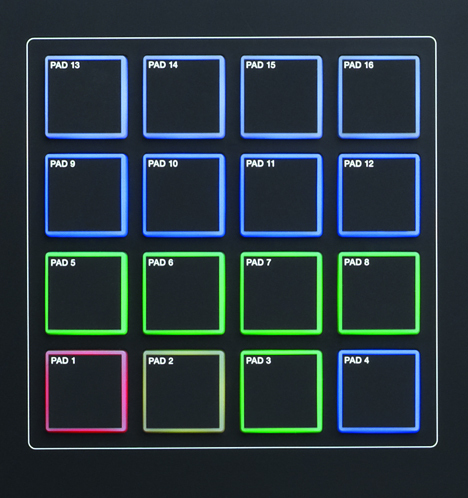 As seen in the MPK225 and MPK249, the pads are lit (can be customized) but that’s pretty much it. They haven’t done anything to the pad tech itself as some users have requested. This model comes with 16 drum pads (more than enough, we love it) with 4 possible drum banks. Total of 64 possible sounds, which is almost more than enough. Great for production live performances. You can send QWERTY-style commands using soft-controls in the new LCD screen. 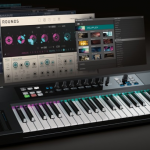 The screen is stated to be faster than the MPK61 for DAW-based functions. The keys are stated to be made for a more ‘comfort playing experience’. We felt them at the NAMM show and they did feel pretty good — feasible for anybody unless you want a real piano. The back-lit RGB drum pads of the Akai MPK261 are a big plus, particularly if you’re going to be performing live and you work the lights to where you can see them. They also add to a nice touch of your studio. The pad banks make for pretty much as many combinations as you can think of in terms pad assigning. The knobs and sliders work as intended, we’ve had success in assigning parameters and a few VST’s in Ableton and Logic Pro. The software bundle of the 61-key MPK is crazy. 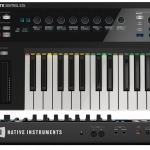 If you’re looking for some software or more DAW’s to incorporate into your live performances (Ableton) or merely music creation in general (the MPC Essentials is awesome and doesn’t take too long to learn), upgrading to this from your previous MPK61 may be worth it. If you aren’t using software and already have your rig set up accordingly to your preferences, this may be a make or break situation for you. I’ll leave that up to you. The 61 key count is awesome if you’re a big piano player — it really allows you to have both of your hands able to play a few octaves at once, you will not be disapointed. If not and you’d like to save a few hundred dollars, check into the MPK225 or the MPK249. I personally like the 49 key as it’s a little cheaper but also provides just enough keys to be able to use both of my hands when I’m jamming. However, I’d never complain if I had 61 keys as it’s almost just as many as a real piano — again, your preference. 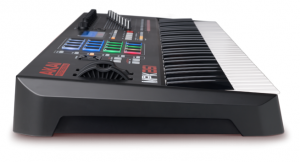 The $500 retail price makes us wonder if it’s really worth the upgrade if you already have the MPK61. If you’re not using the software they include, we probably wouldn’t recommend it unless you really prefer to have those RGB lights under your drum pads. 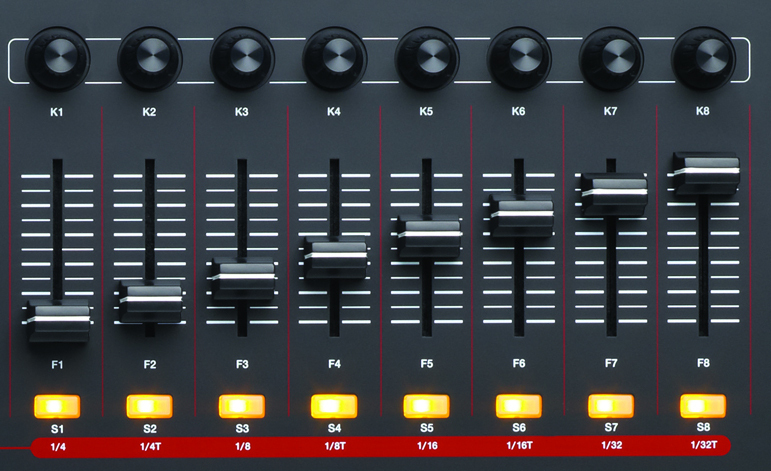 We’ve heard some complaints, moans and groans about how Akai hasn’t necessarily improved much of their MPKII USB MIDI controllers. I guess people were expecting a lot more — some users were really urging for some better pads. However, we do feel the tweaks and upgrades could be worth it if you’re looking to buy a brand new MIDI keyboard controller that includes both drum pads and keys. 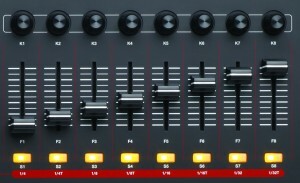 Akai has never failed in terms of build and longevity with their equipment. You’re getting a crazy, solid build. With full sized 61 keys that are semi-weighted, the key make is better than most MIDI keyboards on the market. If you’re looking for a similar 61 key keyboard but with a slightly cheaper build and not as large of a software bundle included, check out our Alesis VI61 MIDI keyboard review. In terms of actually upgrading from your previous MPK61, that is totally your call; however, in our opinion, we think it’s worth it only if you’ll be using the software package that comes with it. Otherwise, there isn’t too much of groundbreaking features to consider this a crazy upgrade. If you’re looking for a brand new MIDI keyboard however and want a very solid 61 key controller, the Akai MPK261 MIDI keyboard is one that’ll last you for years. 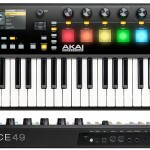 You can also read our top 10 best MIDI keyboard controllers article for more options if you need a cheaper alternative. Here’s the user guide of the MPK261.